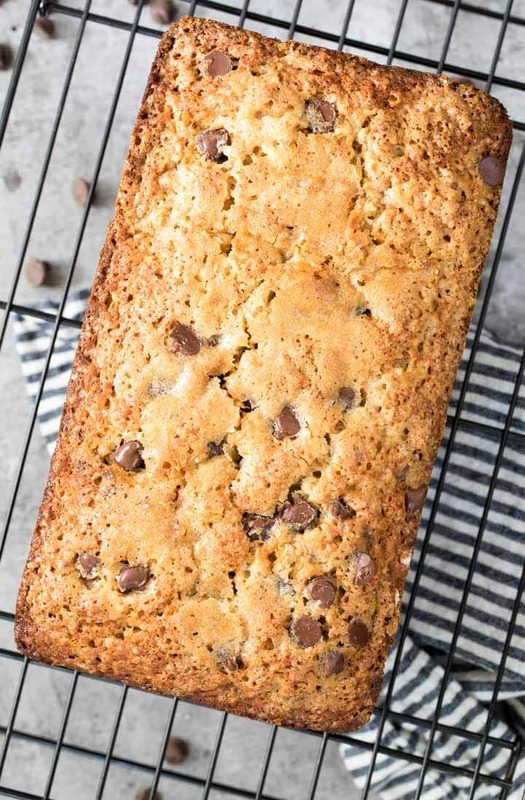 A soft chocolate chip banana bread that’s loaded with melty chocolate chips, topped off with a sprinkle of sugar, and (most importantly) loaded with ripe bananas for the best possible flavor! This banana bread is easy to make and I included a video just above the recipe showing you exactly how it’ s done! 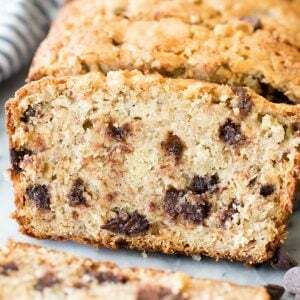 This Chocolate Chip Banana Bread recipe is my kind of bread recipe. 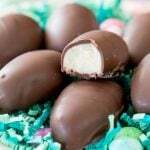 Partly because it’s loaded with melty semisweet chocolate chips in every. single. bite. Partly because it’s not a “true” bread, and absolutely no yeast is required (while I’m working on getting friendlier with yeast, like with these honey wheat rolls, it’s still just a smidge out of my comfort zone). Partly because of the incredible flavor from super ripe bananas and a strategic combo of butter and oil (more on that below) and the well-sugared topping that I promise is not overkill. 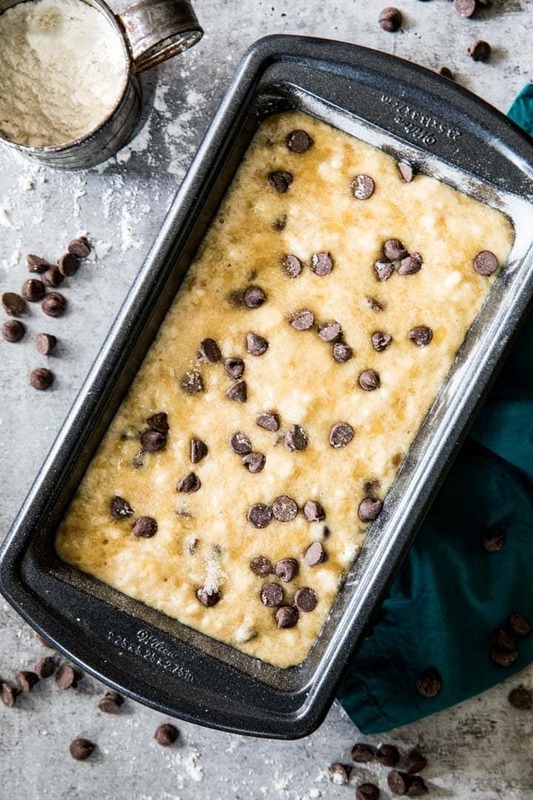 All of these things come together for the Chocolate Chip Banana Bread of your dreams (you do dream about banana bread too, right?). 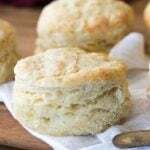 You’ll notice that I use both butter and oil in this recipe, and there is a good reason for that… I’ve mentioned it once or twice before in many of my muffin recipes as well as my vanilla cake recipe. I love butter. I love the flavor it gives my baked goods and the amount that I spend on butter each month could be a car payment. I love the stuff. But… but… butter is not always better (😱). 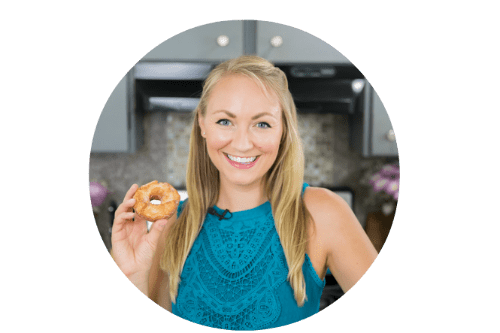 When it comes to certain recipes like cakes/muffins (usually baked goods that are confined to a tin, not cookies, which would spread terribly if you substituted oil), oil is actually generally a better choice for moister, softer baked goods. 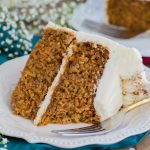 Both oil and butter are fats, but butter is generally composed of around 15% water, and this water can actually cause your cakes to be drier (seems counter-intuitive, doesn’t it!). However, because I love the flavor that butter imparts in my baked goods, I’ve found what I feel is a healthy compromise — half butter and half oil. 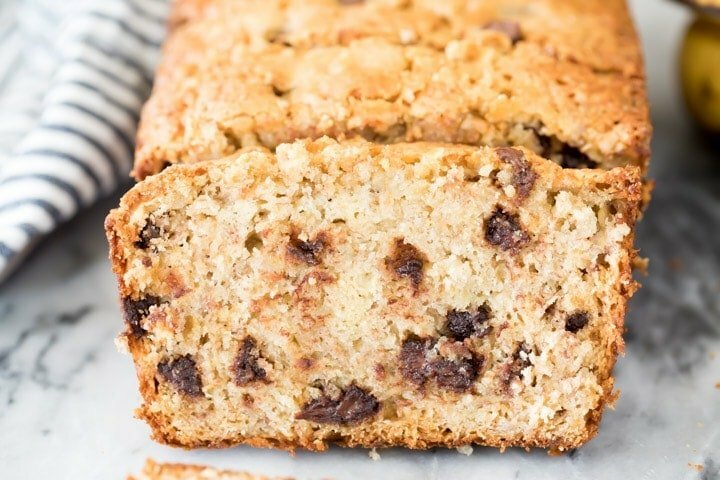 This combination gives you a soft, moist chocolate chip banana bread that still has a killer, slightly buttery flavor. So for those of you who were thinking of asking: I do not recommend substituting the oil in this recipe for the butter. Please don’t do it, your chocolate chip banana bread will likely come out too dense and drier than is ideal. The riper your bananas are, the better and more flavorful your banana bread will be! They should be very brown and spotty, even more-so than the ones I used in my video below (I never seem to have perfectly ripe bananas when I go to make a video — I use them all up in my recipe testing). Do not over-mix your batter! 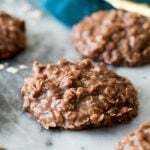 This is important, use a spatula and a gentle hand, and a few flour streaks in the batter is OK. To help avoid over-mixing, I like to stir the chocolate chips into the batter when I’m about halfway through stirring in the dry ingredients. Top everything off with coarse sugar (or, just regular granulated sugar!). 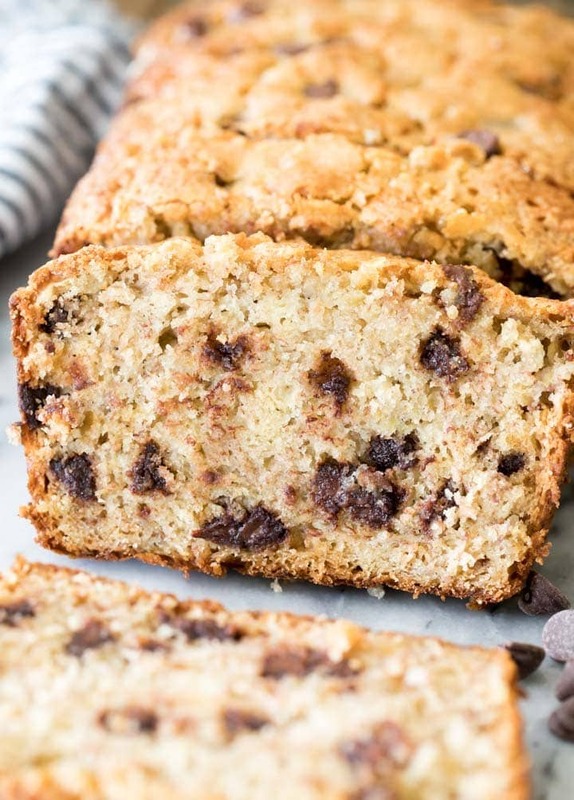 This is optional but I love the effect it adds to the chocolate chip banana bread — the top of the bread is my favorite part! 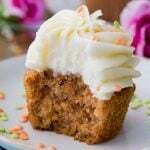 If you like this recipe, be sure to check out my popular banana muffins and my banana cake, too! 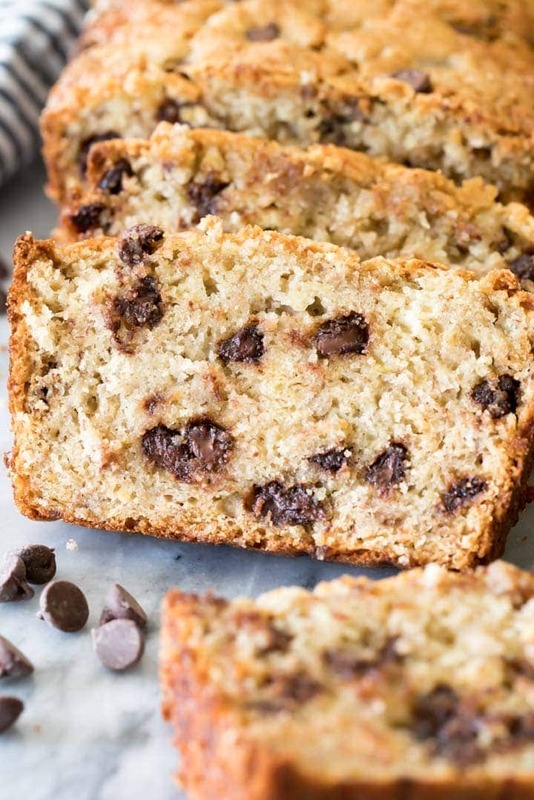 A soft and easy to make chocolate chip banana bread recipe! Preheat oven to 350F (175C) and prepare a 9x5x3" pan by greasing and flouring the sides and 1" up the bottom of the pan. 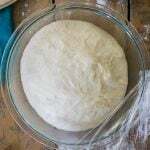 shake out excess flour. Set aside. Gradually add the dry ingredients to the wet until just combined -- do not over-mix. 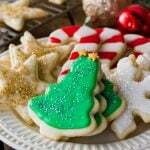 A few streaks of flour remaining in the batter is OK.
Pour batter evenly into prepared baking pan and sprinkle generously with sugar (if desired). Bake in 350F (175C) oven for 65-75 minutes or until a toothpick inserted in the center comes out clean/without wet batter. Allow to cool for 10 minutes before running a knife around the inside of the pan and inverting onto a cooling rack to cool before slicing and serving. Oh my goodness! I’m not sure why you thought you should bake this recipe as muffins for 65 minutes. This recipe is for a loaf and it takes 65 minutes… If you intend to bake in a muffin tin instead it will certainly take much less time (as I gather you’ve realized by now…). My horribly bad and I apologize…….going through a lot. Sorry! Thank you, Sam, for another superb recipe! Just made it but swapped out chocolate for walnuts, baked it for 55min and it seems to be cooked perfectly. I love that you include weighing measurements for the ingredients, I find it much easier to weight everything out, and find its better for consistency too. Have a lovely weekend! I am so glad you enjoyed it, Sophie! I love the walnut substitution. I am going to make your chocolate chip banana bread recipe in two smaller loaf pans. 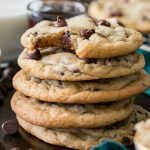 Should I reduce oven temperature to 325? Also about how long to bake? I’m guessing perhaps 45 minutes? What do you think? I would not decrease the oven temperature. Unfortunately, I do not know how long they would need to bake. Sam, I am so glad I found this recipe. 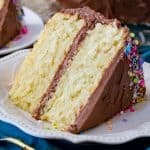 The bread is delicious, moist, and the perfect blend of banana and chocolate. I put an (un)healthy amount of sugar on top along with an extra smattering of chocolate chips. I have since consumed the entire loaf and have printed out the recipe for my own personal collection. Thank you thank you thank you! In general, what is your opinion of substituting sour cream or yogurt for oil? I’ve heard of this over the years but have never tried it. Thanks very much. This is the best banana bread recipe I have tried. Perfect texture and flavor. Sam, We also like to add chopped walnuts to our Banana Bread. 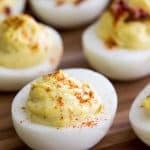 Would that be okay to do in this recipe? Also, I noticed that you had said to grease the bottom of the baking pan, as well as only 1 inch up from the bottom of the pan? Is there a reason why you would not grease the entire sides of the pan? Also, I noticed that your recipe is calling for a “tablespoon” of vanilla extract, and not the usual “teaspoon”. Is that correct or was this a misprint? Looking forward to your response — thanks Sam! 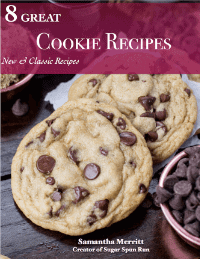 Sam, my boys and I love your recipes and have made many of them with great success! We can’t wait to try out this one and are going to get bananas today and let them ripen!